Froze for me when the melody part started (Chrome 15.0.874.120), but started working again again after a while. I don't know much about WebGL but this looks pretty solid to me. I think the pacing should be a bit less hectic and the colors less RGB, but otherwise nice. Cool sound too. 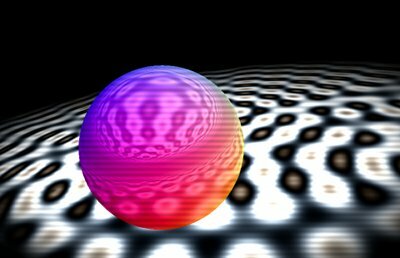 Nice way to get the proper-webgl-4kb-intros ball rolling! WFM in Opera 12. Wish there was some kind of progress bar during the synth. The tune sounds very Sonant-ey but that's more than fine at 4kb. I should definitely make a 4kb using the tricks of my usual >1kb stuffs. Froze here too, maybe due to two shaders not compiling (Nvidia GTX 470). The freezing problem is (AFAICT) a bug in ANGLE. Please have a look at the blog post for hints on activating the OpenGL backend in Chrome/FF (works OK in Opera 12, though, since it doesn't use ANGLE for cross compiling GLSL->HLSL). Nice visuals with good music. marcus256: Yes, tunnel works now, thanks. And it looks better than the ball+plane scenes in my opinion. Thumb for the platform. It looks like NVWebGL or maybe even NVGLES. Oh, the irony. hey hey marcus why don't you present it at wild entry at alchimie ? My bad. Got it working now. In Chrome even with old ATI and old drivers. I'm curious though if it would be possible to do Nvidia only shader-code when using this 'native' mode of the browsers. That would be fugly indeed. page created in 0.027013 seconds with 15 queries.